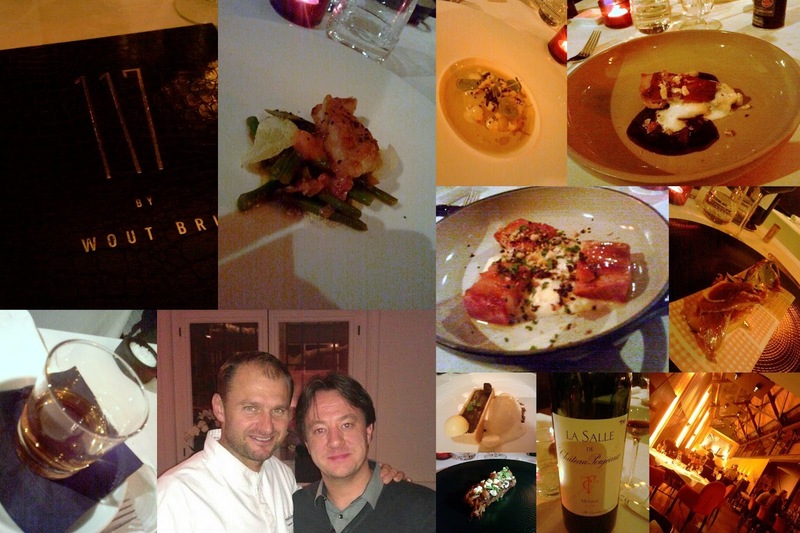 When someone like Wout Bru announces that he's opening a restaurant , even temporary, in Antwerp the buzz gets around! Fast! It was only a couple of days after he opened the reservation site that there were allready a couple of 1000 reservations and all the weekends were fully packed. Hyped? Perhaps....He's ever so present in the media and wether you like him or not he gets your attention so even if you are not passionate about food and everything around it you still want to go and get a glimpse of the 'master' at work. 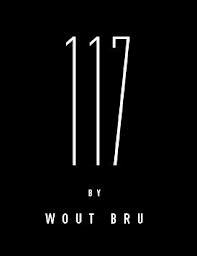 We decided quite quickly that we would 'try' to get in and choose a day during the week to have our Wout Bru experience as all weekends were allready booked. The pop-up restaurant is situated in the trendy 'Zuid' neighbourhood in Antwerp, home of the hipsters, and you can see that there's a lot of money invested in the event. The decoration is modern and urban 'chique' and fits the big hall where it is situated. It seems more as a permanent restaurant than a 'pop-up' so maybe the next owner allready signed, who knows? Wout Bru put together a young crew,led by his wife, which showed in the service that was somewhat clumsy/amateuristic but not in a disturbing way. I suppose he brought his standard 'Provence' kitchen crew with him as it is much easier than training a new crew. We were advised to chose about 4 dishes of the menu which consists of about 20-30 dishes, amongst them some Bru signature preparations, to have the 'full' experience and a dessert. I started with 'Carpaccio of scallops in a cream of north sea crab and shaved truffle' and this dish immediately set standards very high for the rest of the evening. 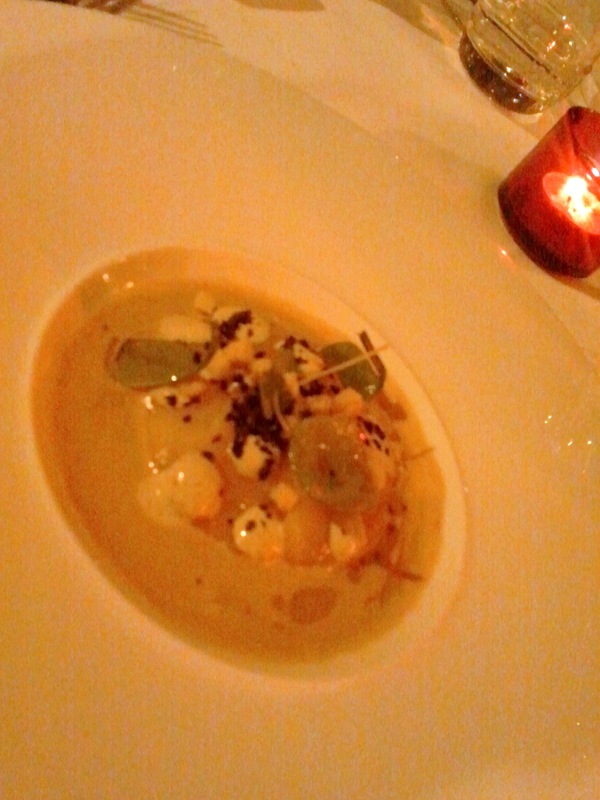 A very earthy dish with a nice mix of the sweetness of the seafood with the earthiness of the truffle! Top! 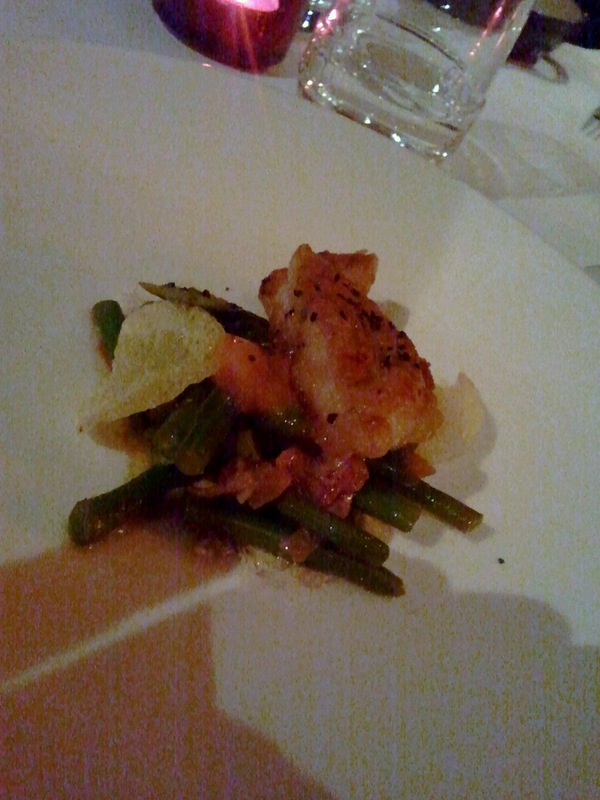 Next dish were crunchy baked sweetbreads on green beans, aged parmesan, iberico ham and dressed with truffle vinaigrette. Again a very good dish with a good combination of flavours, somewhat an interpretation of the classic 'salade Liégeoise'. 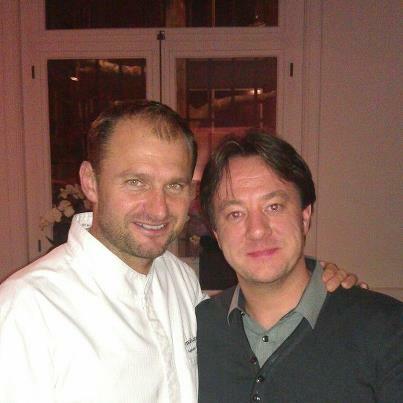 My best friend who joined us for this dinner together with his partner and my wife had a simple dish but with a incredible taste. Simple slices of pata negra on a toasted 'bruschetta' with marinated tomatoes. Again, simple but what an intense flavour packed ham!! It was served in an original way, on the well-known red/white squared paper that butchers use to pack their meats. 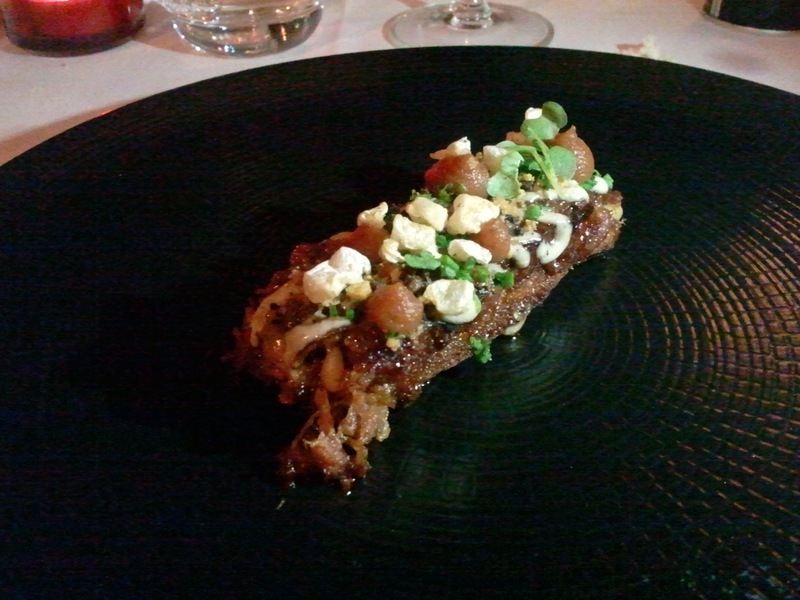 My third dish was another favourite of mine, pig's trotters served on a toast. I just love the rich, somewhat gelatinous meat of pig's trotters but this dish fell short compared to the dish my wife had, one of Bru's signature dishes; 'laquered pork belly'. 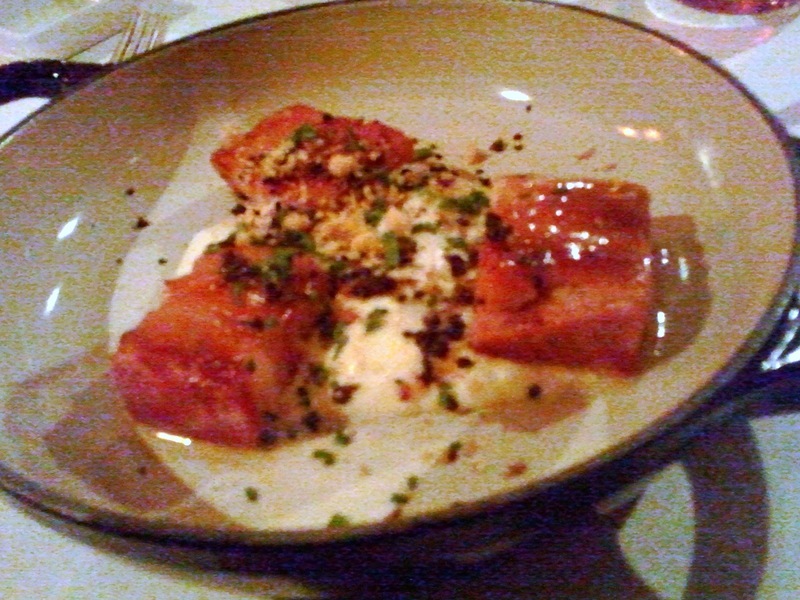 A truely flavour packed dish, at the same time sweet and salty and served on a bed of olive oil/butter mousseline. Truely the winning dish that night but unfortunately not mine. 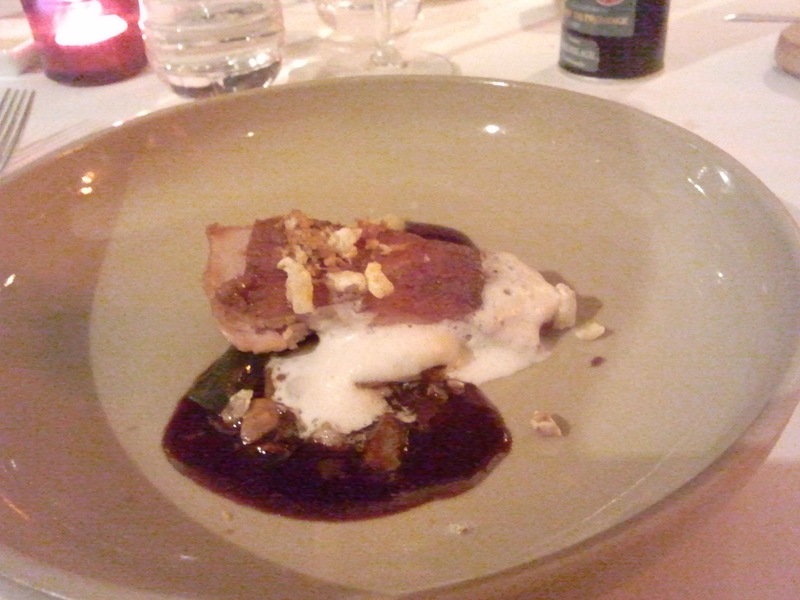 My last dish was anothe signature dish, the 'suckling pig' served with the skin that had an incredible crackle, rosemary foam/redcution and Port sauce. Another excellent dish! 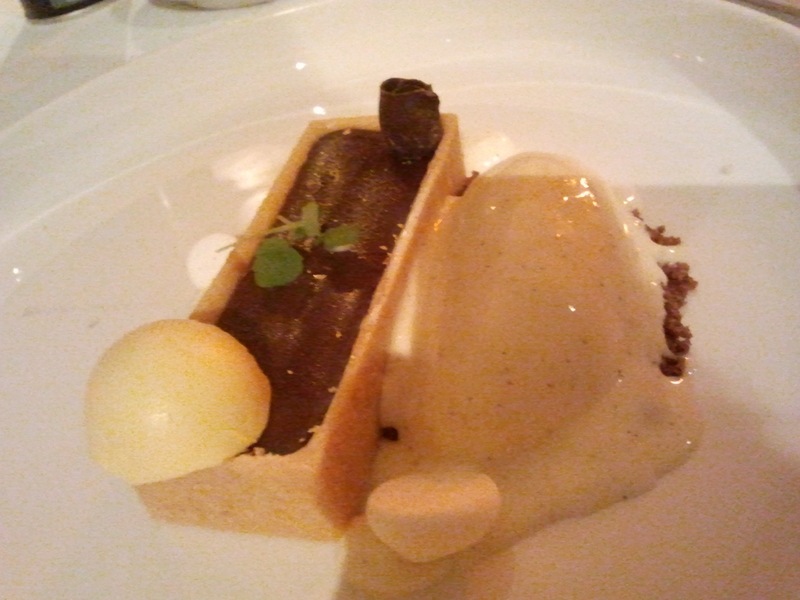 For dessert I had the 'chocolate tarte', a butter bisquit filled with dark chocolaten soft caramel and vanilla ice cream. 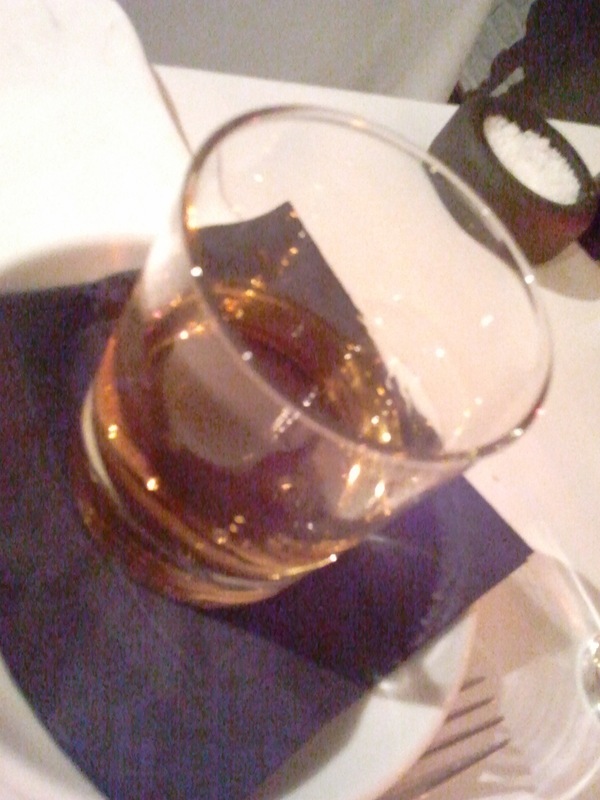 Finished with a nice peatey, Glenrothes speyside single malt Scotch. A nice way to end this experience and as a bonus I had the chance to have a brief talk with Wout Bru and have our picture taken. A nice memory. I was overall very pleased with this experience, a chance to have a glimpse of the Michelin-starrred cuisine he normally serves but I think he will be settling/opening a permanent restaurant in Antwerp quite soon and that this was also a test to capture the possible potential of a second restaurant. He will have to get everything up to level, the service for istance but I believe it would be a sure hit!